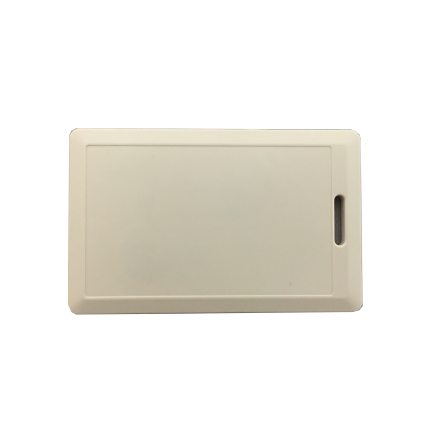 2.45 GHz Active Personnel RFID Card Tag | GAO RFID Inc.
A 2.45 GHz Active RFID card tag that provides up to 100m of read range and has a unique anti collision feature that allows for a simultaneous read of up to 100 tags. 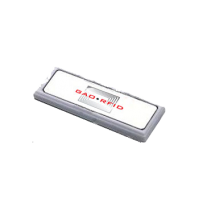 GAO RFID’s 2.45 GHz Active RFID Card Tag is used to identify and perform micro-localization of items or persons. It provides up to 100 m of read range yet uses very little power. Life expectancy is approximately 4 years. The tags unique anti-collision feature allows for a simultaneous read of up to 100 tags. 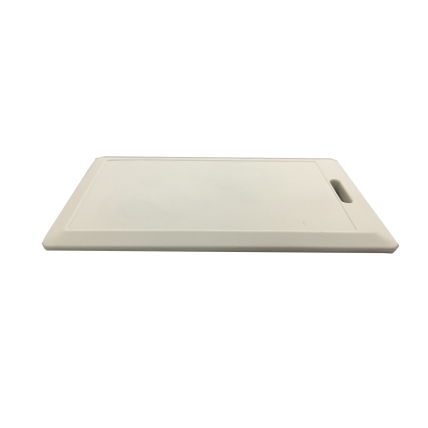 A slot in the card allows for the attachment of a lanyard or tie. 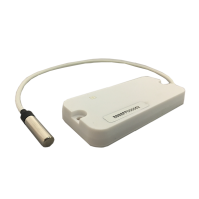 It is typically used for manufacturing and security applications or asset management. The tag is built around an innovative 0.18 μm low-power CMOS integrated circuit. Can identify 100 tags simultaneously at distance up to 100 m.
Innovative 0.18 μm CMOS IC technology for ultra-low power consumption. 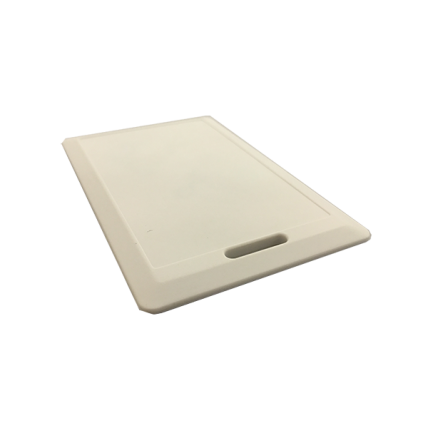 A 2.45 GHz Active RFID vibration sensing tag that detects and transmits the presence of continuous or impulsive vibration so that the monitoring system can tell when the item is being moved. This UHF 860-960 MHz Thin RFID Card is designed with a thin form factor and is popularly used for access control and employee badge identification. 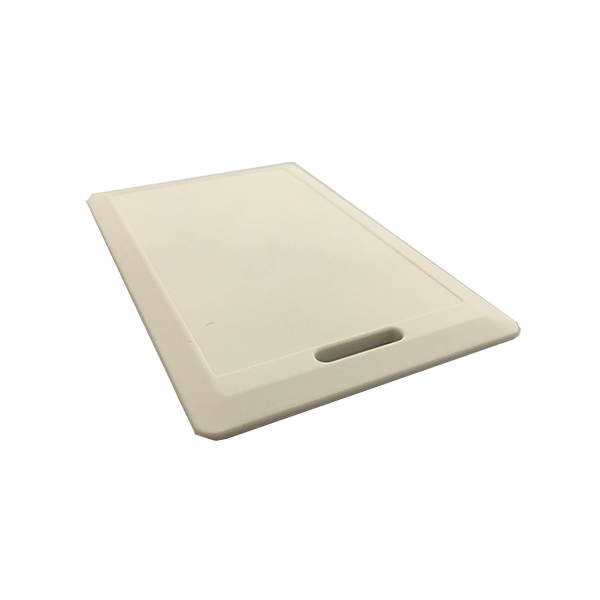 This UHF Wristband Silicon Tag is used for any application where small form factor with longer range read capability is required.